If your lawn needs a little love—whether you have bare spots or are starting a lawn from scratch—you have options. While sod can be pricey and grass seed may not take in all areas, a third option to consider is hydroseeding. Hydorseeding involves spraying grass seed mixed with water onto a specific area. The mix may also contain fertilizer, mulch and other additives to help the seed take root. The process is used in a number of ways, according to Green Tech Lawn and Irrigation, a full-service lawn care company in Ohio. Hydroseeding is used to block the growth of weeds, beautify yards and to prevent dust pollution and erosion. Since the process of hydroseeding is fairly simple and straight-forward, labor costs are lower than that of laying sod, according to Green Tech. In addition, hydroseeding takes little time, germination rates are quick and the process produces high-quality grass. 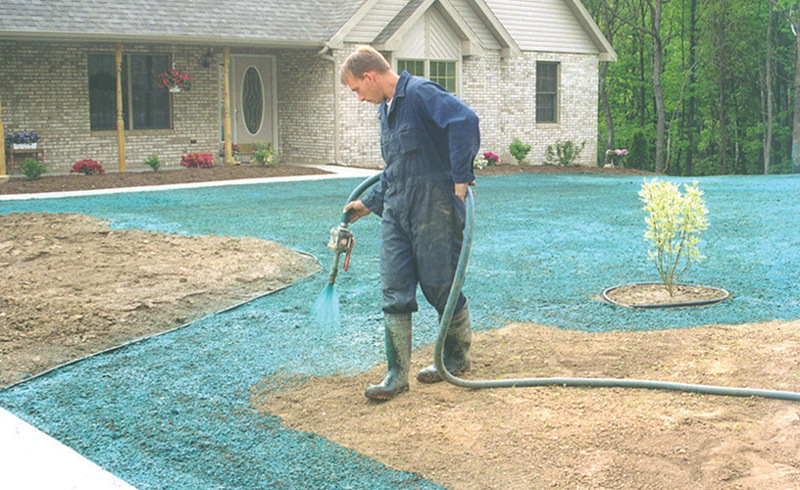 Spring is a good time to try hydroseeding, as the weather is still cool and there’s enough moisture in the ground for the seeds to germinate. The grass will then be strong enough to endure the heat of summer and the cold of fall and winter. “Technicians prep the soil so it’s even and ready to give the seeds an excellent chance of taking root and growing properly,” according to Green Tech. The technician will then spray down where you want the grass to grow. You’ll need to keep people off the lawn until the grass hits maturity. Once sprayed, the grass seed is protected by a green layer of hydro mulch (as seen in this photo from Clark’s Landscape), which helps seal in moisture and prevents rain from washing away the seeds. According to Always Green, a company that specializes in hydroseeding, you should start to see growth in five to seven days, depending on the weather. In three to four weeks you’ll have a lush, full lawn. Hydroseeding is usually done by professionals because it requires equipment homeowners don’t have. 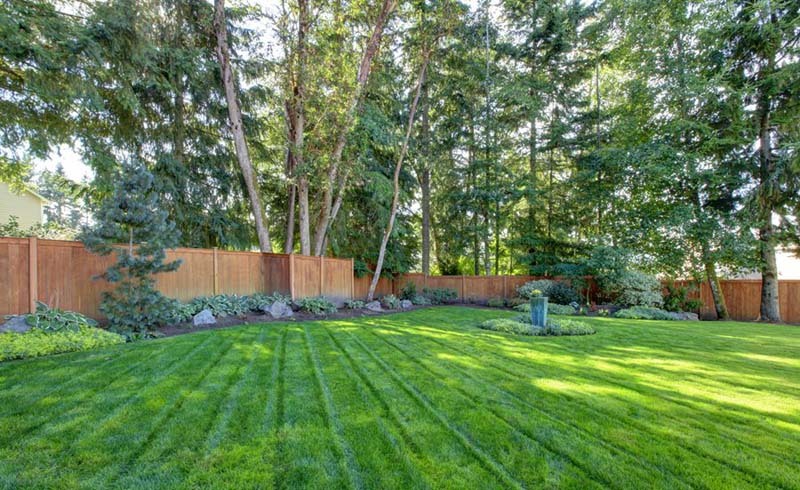 U.S. Daily News: Should You Consider Hydroseeding for Your Lawn?